where pellet strength and durability are desired. stocked in local warehouses in 25 kg bags and tote bags. cubes, blocks, or pellets in animal feed. 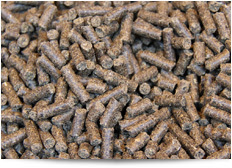 and allows for greater flexibility when selecting feed ingredients. 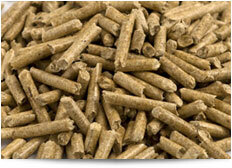 Welcome to Cra-Vac Industries Inc.
At Cra-Vac Industries Inc. we specialize in the field of feed ingredients. With over 30 years of experience under our belts, you can be sure that you will be getting top quality products from us every single time. 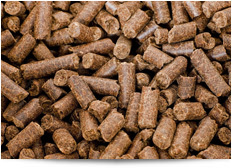 Cra-Vac Industries Inc. continually innovates and develops pellet binders and feed binders which help our customers achieve optimal results. Additionally, we offer assistance to feed producers in choosing the most economical and effective binders for their needs. 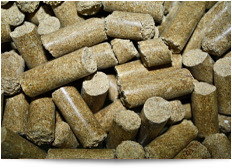 Not only do we provide quality feed binders, but we also provide excellent customer-service. Whether its Maxi-Bond, Ameri-Bond® 2x, LignoBond DD or PellTech, we have a replacement product for you. Cra-Vac Industries works directly with feed manufacturers on-site to troubleshoot and optimize their manufacturing processes. Through on-site mill trials and working with the leading scientists in academia, Cra-Vac Industries has perfected feed ingredients for optimal results. Pell-Tuff®, Sure-Bond Plus® and Protien Plus® are available in the USA and around the world.